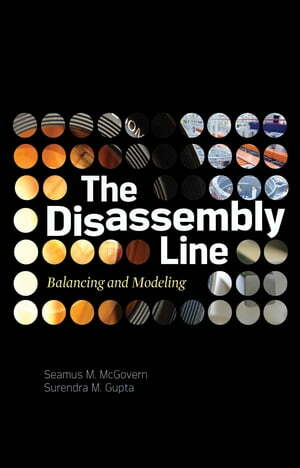 Collins Booksellers - The Disassembly Line: Balancing and Modeling by Seamus M. McGovern & Surendra M. Gupta, 9780071626057. Buy this book online. The Disassembly Line: Balancing and Modeling provides in-depth information on this complex process essential to remanufacturing, recycling, and environmentally conscious manufacturing. This pioneering work offers efficient techniques required to solve problems involving the number of workstations required and the disassembly sequencing of end-of-life products on the disassembly line. In this book, the disassembly line balancing problem (DLBP) is described, defined mathematically, and illustrated by case studies. Combinatorial optimization methodologies are presented as solutions to the DLBP. This authoritative volume also covers product planning, line and facility design, sequencing and scheduling, inventory, just in time, revenue, and unbalanced lines.